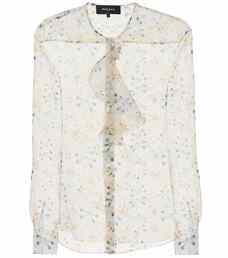 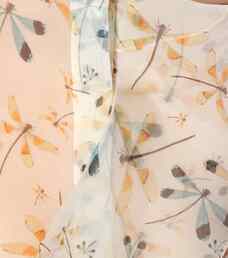 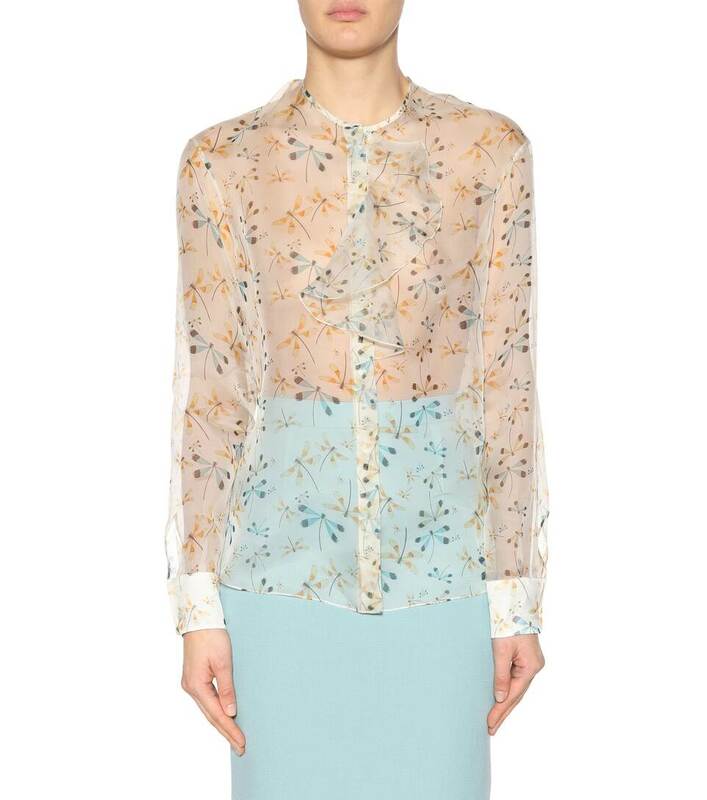 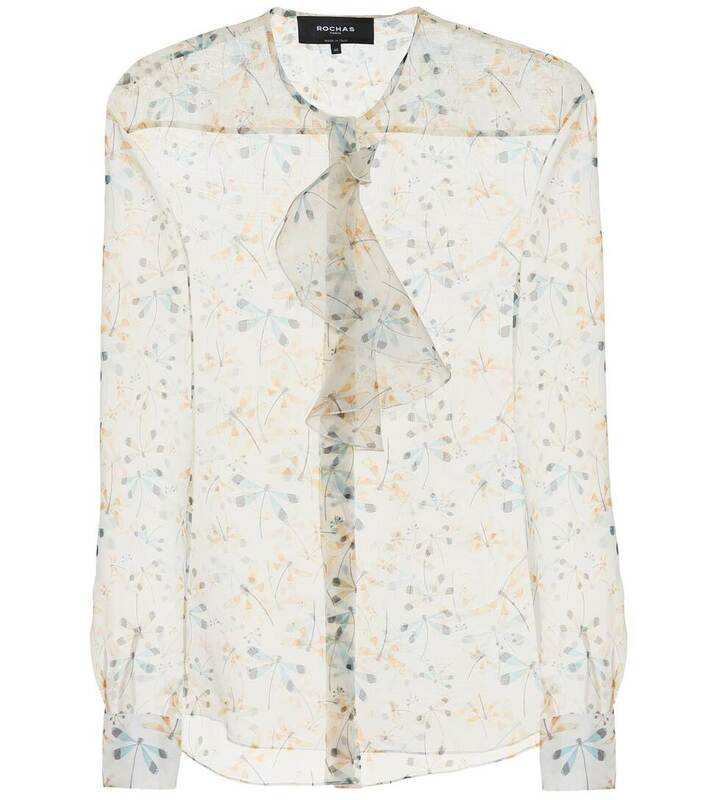 Rochas offer a deliciously artful take on the white blouse with this semi-sheer design, crafted from silk and decorated with a pastel-hued floral print. The featherweight style features a bow at the collar, while the long sleeves offer demure elegance. 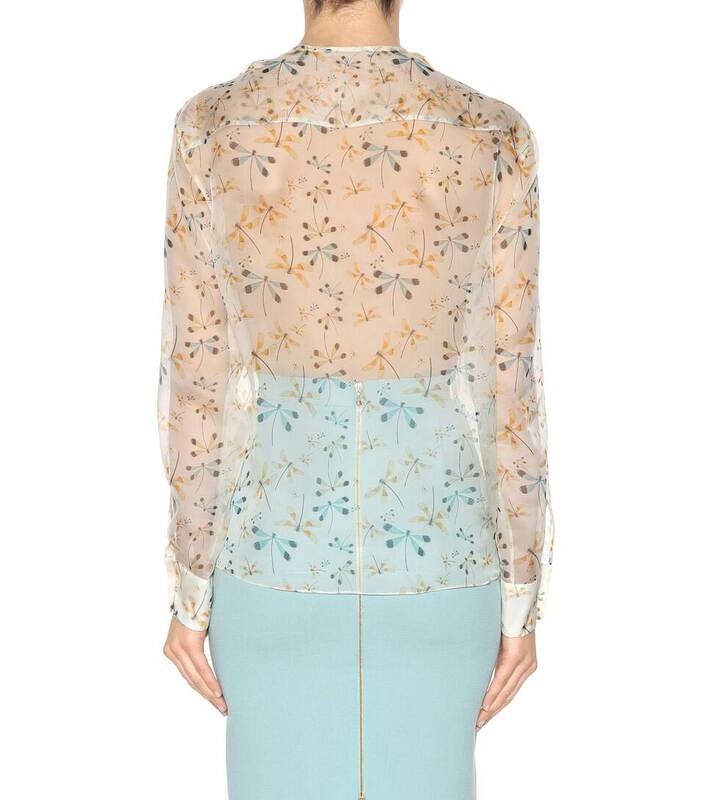 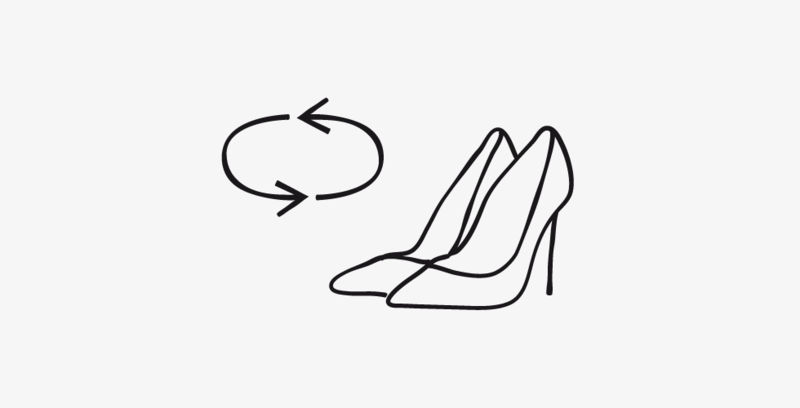 Wear yours with a pencil skirt for delicate femininity.